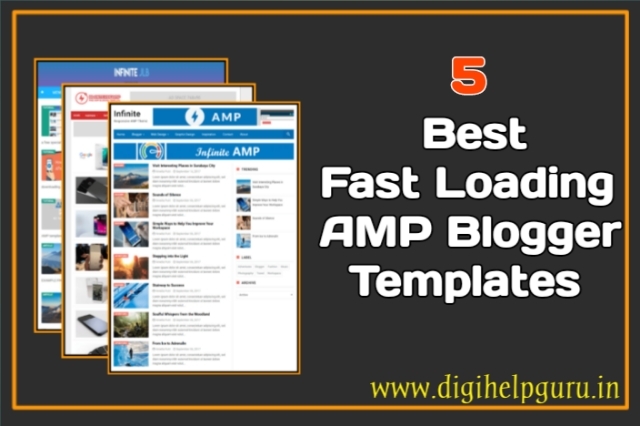 आज यहाँ पर आपको 5 Best Fast Loading Amp Blogger Templates बताने वाला हु, सभी Blogger Template Fast Loading, SEO Optimized, Adsense Ready और Mobile Friendly है जो आप अपने Blogspot blog में use कर सकते है. 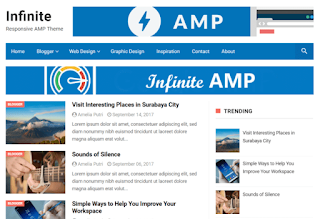 AMP Blogger Template इस्तेमाल करने से आपके blog की speed बढती है और इससे आपके blog की ranking भी बढती है. जब भी आपके Blog की speed बढती है तो search engine आपके blog को first page पर दिखता है. आज ज्यादातर जो News website है वो AMP का इस्तेमाल करते है. जिससे उनकी website आपको first page पर दिखेगी. 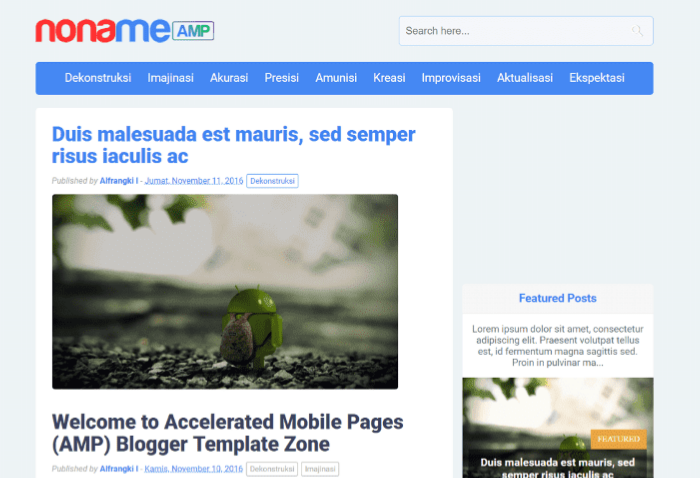 तो चलिए जानते है 5 SEO Friendly AMP Blogger Templates के बारे में. ये एक बोहोत ही बढ़िया और simple amp blogger template है. 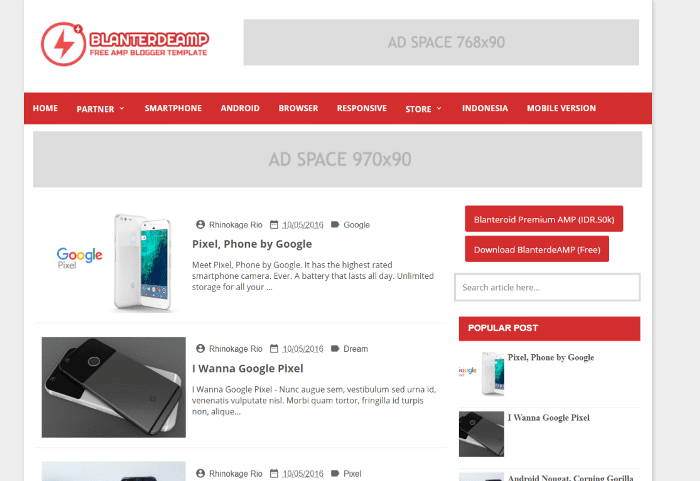 और Best SEO Optimized Blogger Template है. 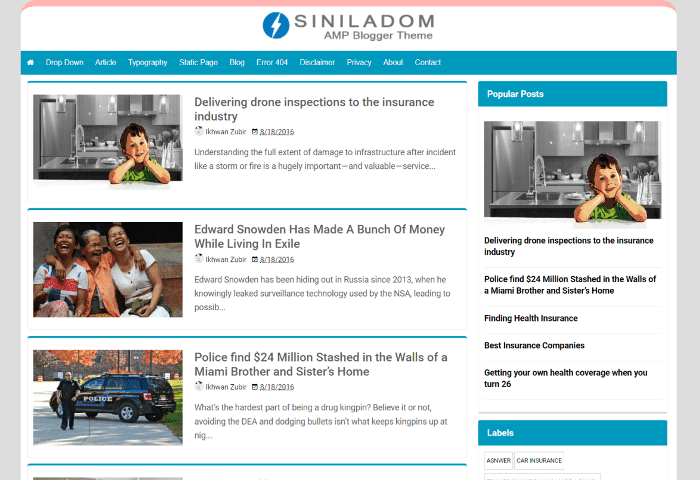 Blogger Template Features: SEO Friendly, Elegant Look, Ultra Responsive, Dynamic Heading, Footer Menu. ये AMP Template भी एक Premium Looking Template है. ये एक Full Responsive Blogger Template है. Blogger Template Features : AMP Search box, Two Column Design, Navigation Menus, Supports Disqus comments, Mobile Sidebar, Top Navigation Bar, Bright color, AMP-based buttons. Infinite JLB भी अच्छा AMP Template है. ये Fast Loading and SEO Optimized Blogger Template है. Blogger Template Features : Very Fast theme speed, User Friendly, Mobile friendly, Better SEO Optimized, AMP theme, Adsense Ready, Easy to customize, Layout is better for edit, Easy to edit on html, Powerfull and responsive. ये एक Best AMP Blogger Template है. बोहोत ही बढ़िया looking के साथ Mobile and SEO Friendly Blogger Template है. Blogger Template Features : AMP Ready All Pages, Mobile Friendly, Fully Responsive Design, Valid Structured Data SEO Ready, Homepage Custom Post with Grid and List, Ads Ready, Advance Search Engine Optimization, AMP Social Share Button, Auto resize thumbnail image, Disqus Comments Ready. 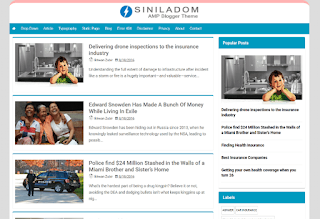 Siniladom AMP Blogger Template एक Simple Looking और Fast Loading Blogger Template है. 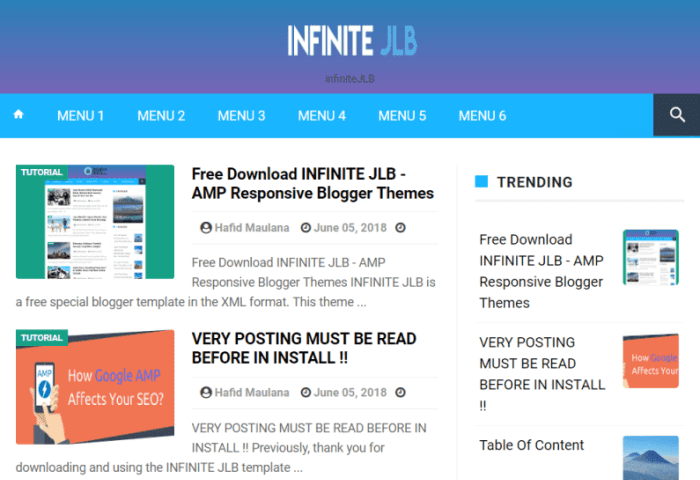 इसके अलावा ये SEO-Friendly Blogger Template है. Blogger Template Features : Vertical Drop Down Menu, Passed AMP Validator, Light Base Colors Theme, Breadcrumbs, Adsense Ready. दोस्तों मुझे आशा है की आपको 5 Best Fast Loading AMP Blogger Templates अच्छे लगे होगे. पोस्ट अच्छी लगे तो आगे share जरुर करना. और अगर आपके पास भी कोई अच्छे AMP Blogger Template का नाम है तो निचे Comment में जरुर बताये. This can be the problem of your template. Change the template to try.